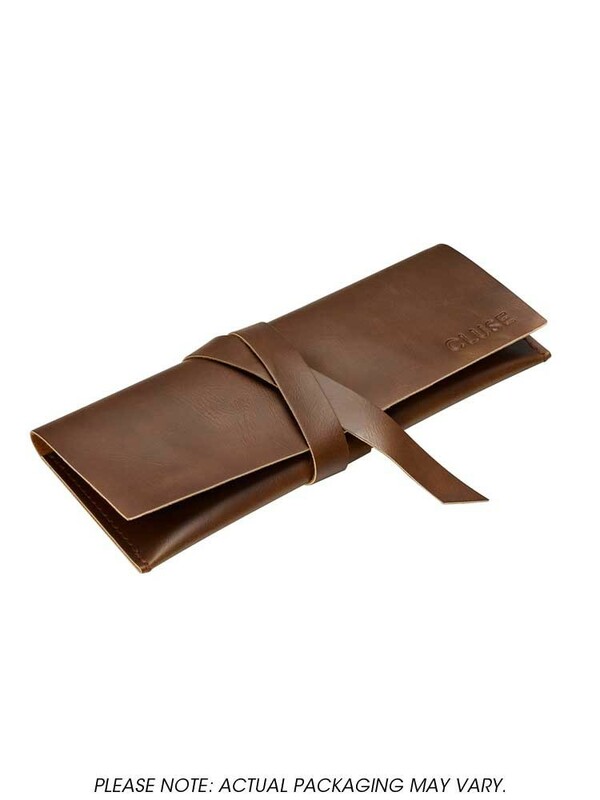 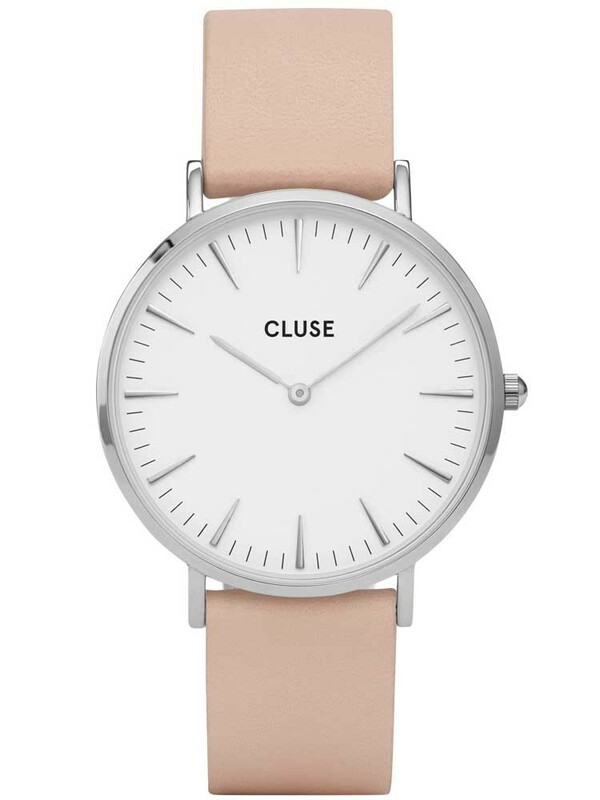 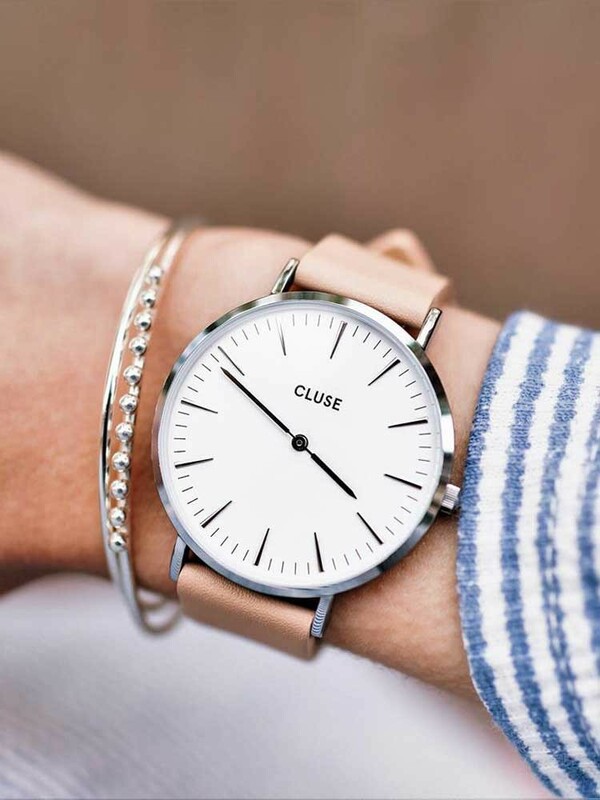 Introducing this stylish minimalist strap watch from Cluse and La Boheme range, perfect for giving your outfits an elegant feminine finish. 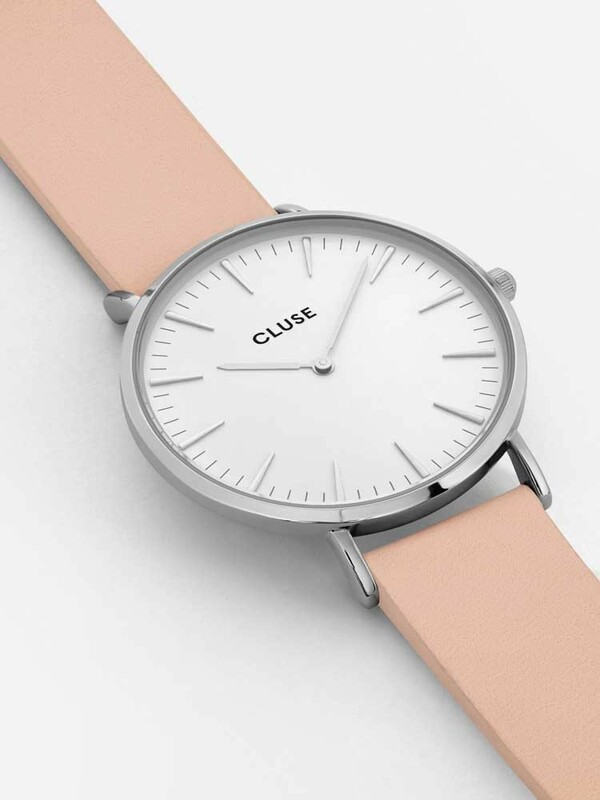 The sumptuous stainless steel case houses a round white dial with slender hands and baton hour markers. 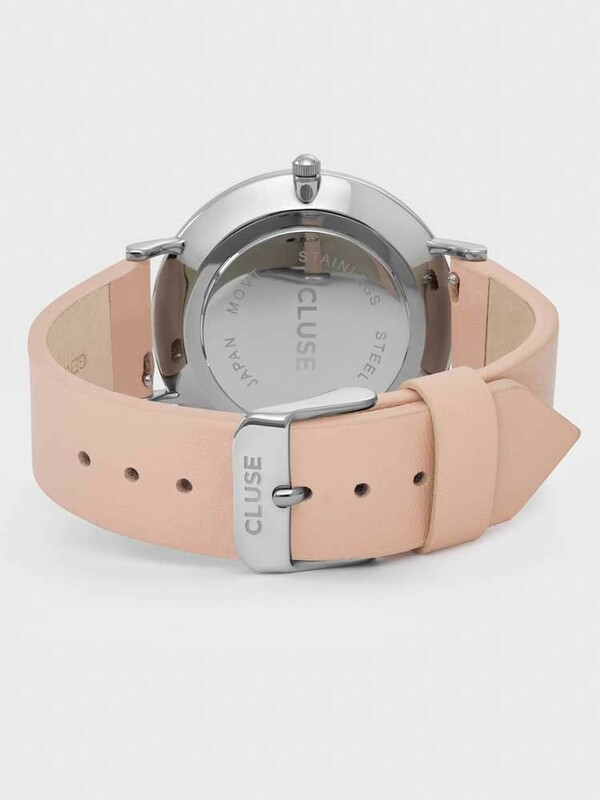 Complete with an attractive pink leather strap and traditional buckle closure.